This item can be used in cars, vans, and trucks to hold the cargo like groceries, etc. 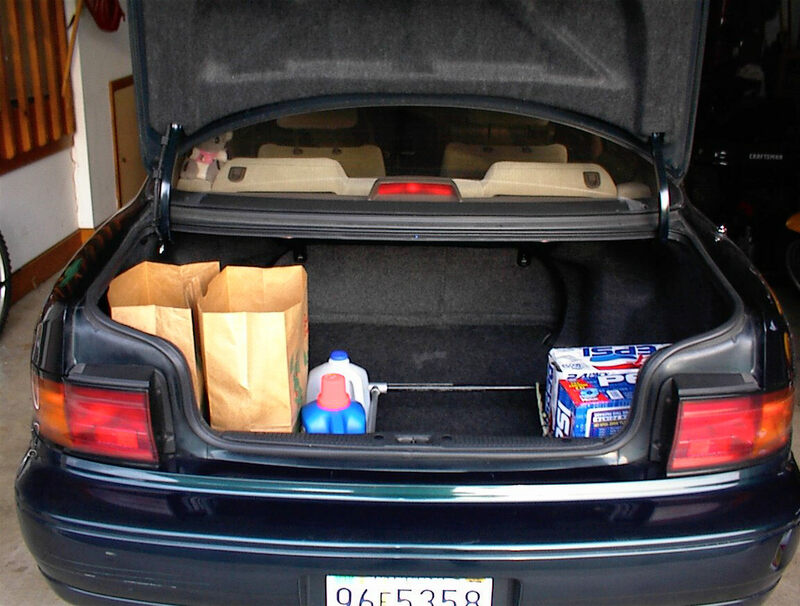 When carrying cargo, it is generally placed in the trunk or the cargo area of a vehicle. If the trunk space is not full, the cargo will shift in transit, thereby spilling cargo in the trunk. The function of ACO "Adjustable Cargo Organizer" is to maintain the cargo, or the like, in position even when subjected to sudden movements caused during transit of the vehicle in which the cargo is transported. The device provides a mechanism that allows the organizer to be adjusted and snug fit in the opening available in the trunk of a vehicle. The dividers in the device are adjustable that allow the user to customize the space in the organizer. It is economical, convenient, stable, functional, and aesthetically pleasing. ACO consists of two U-Shaped telescopic steel tubes that slide along the length of the frame. Four U-Bolts provide the depth and hold the frame above the surface. The center support can be adjusted anywhere along the length of the frame. ACO is designed to fit in the trunk of a car or a van, or the cargo area of a pickup truck. 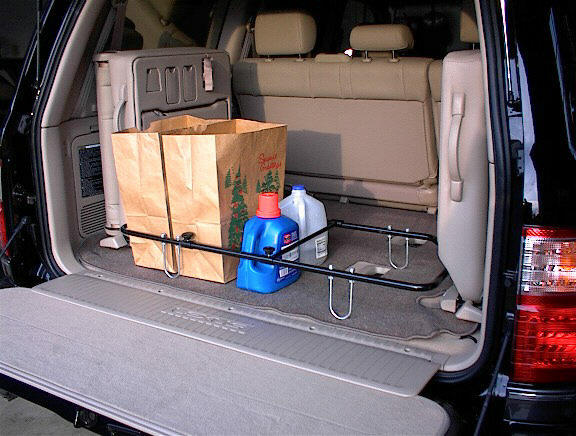 It can be easily placed or removed from the cargo area; just loosen the knobs and slide the frame in or out. ACO is functional, economical, aesthetically pleasing, and fits any size of car, van, or pickup truck.